The winners of the Galaxy Chocolate and Books were picked out of a bucket at random by my lovely now 4 year old assistant. Under the watchful eye of the 23 month old adjudicator. 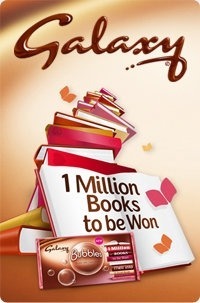 All should have received the books and their yummy chocolate. Enjoy.